Despite being oil-rich, the UAE is choosing nuclear energy as their choice of renewable energy. MME looks at why the UAE is choosing nuclear power as their choice of renewable energy. Malaysia signed a co-operation agreement with Masdar, the group behind the world's first carbon neutral city. Malaysian Prime Minister Najib Razak discusses future energy plans. In a place that's rich in oil reserves, many may find it surprising that the UAE is turning to nuclear power. 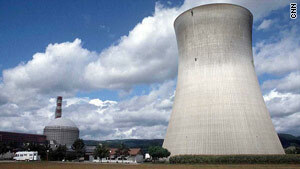 MME looks at why they're choosing nuclear power as their choice of renewable energy. And whether the nuclear option is commercially feasible? In an ongoing boost to embrace clean technology, Malaysia has signed a co-operation agreement with Abu Dhabi's Masdar the group behind the world's first carbon neutral city. But with renewable energy generation come great challenges. This week MME speaks to the Prime Minister of Malaysia, Dato' Sri Mohd Najib bin Tun Abdul Razak about Malaysia's future energy plans and the new partnership with Masdar.